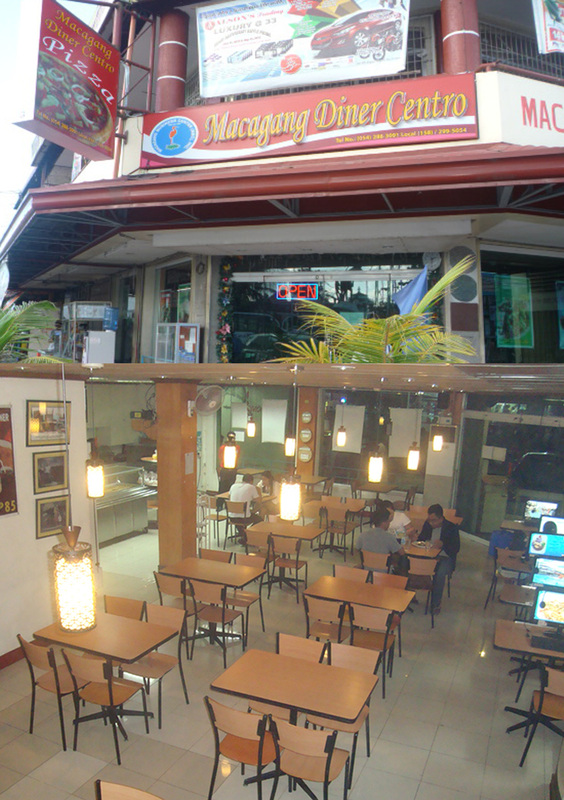 ﻿ Dining: Macagang Business Center Inc. Enjoy international cuisine at the Macagang Diner. It was established in 2007, the restaurant and café boast a menu filled with local Nabua delicacies, regional menus and menus from around the world. From ocean-fresh seafood to hearty steaks, and delightful deserts you will find every taste to suit your cravings. The café offers outdoor or indoor seating. For those interested in a quick meal (pizza, pancit, lomi, sandwiches, etc) or fine dining experience, the Macagang Diner will be your first choice. Macagang Diner offers bakeshop products and cakes for various occasions such as wedding, birthday etc. 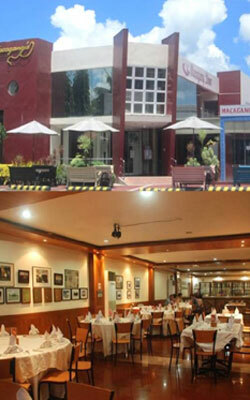 Macagang Diner Main is the only Fine Dining restaurant in Nabua. We are already in our fifth year of giving good food and quality service to our valued guests. Looking for affordable and complete meals from breakfast to Dinner? Macagang Diner Centro will be your first choice. Established in 2009, our restaurant serves meals of your choices; from combo meals , dessert, shakes and snacks. Our Diner Centro is equipped with fast access internet computers. These allow our customer to dine & enjoy their meals while surfing the internet, checking emails and facebook, doing research or talk to their love ones via Skype or yahoo messenger. Try our tasty and delicious pansit sa bilao, pizza buckets of our juicy & tender fried chickens and bakeshop products - slice bread, french bread, cinnamon cakes, etc.